Did you know that one in eight traffic fatalities in the United States involve commercial trucks? According to the National Highway Traffic Safety Administration, traffic fatalities have increased by 7.7 percent in 2015. Nearly every category has seen an increase, including crashes with large trucks by 4 percent. Most deaths that occur in these accidents are the drivers and passengers of cars. Drivers of trucks typically remain uninjured. These scary statistics is something to keep in mind when you’re hitting the Houston highways. But let’s say you do get into an accident with a semi. After you receive medial treatment, what should your next steps be? It can be a time of worry and confusion. That’s why we’re here to help! Do not sign anything given to you by an insurance company without consulting us, first. Insurance companies do not represent your interests. Your best decision is to educate yourself about your legal rights and speak to a truck accident lawyer. You may have to sue to obtain the money to which your are entitled. Don’t be fooled by insurance adjusters who pretend to represent your interest. They will often attempt to convince you to sign papers and take settlement offers which are well below the compensation to which you are entitled. Document your injuries early, get competent medical treatment, and take photographs of your injuries in the hospital or when you get home. Keep track of all expenses related to your injury, including prescription receipts, logged mileage for trips to doctors’ offices or physical therapy appointments, and home care expenses. 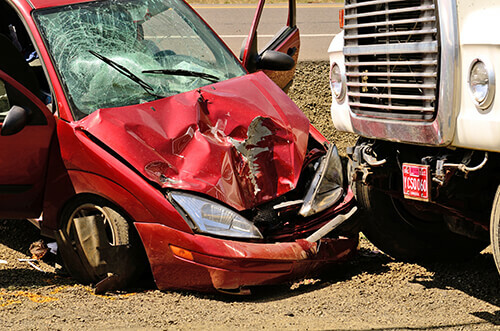 If you get into a truck accident in the Houston, Texas area, get help immediately. Contact the truck accident lawyer at de Lachica Law Firm now for a free consultation.